We were really pleased to be invited to attend Think Global’s annual Global Learning Conference in November last year, the first time we have connected ThoughtBox with other providers of Sustainable Education across the UK. The two-day event in Birmingham brought together practitioners from small organisations as well as the larger consortium of Development Education Centres for a range of workshops, round-table discussions and co-creative networking. The main focus of the conference was to demonstrate vision and share excellence in global learning and to consider (and plan for) sustainability of a global learning agenda in schools across the UK, and there was plenty of opportunity to share best-practice and learn from other practitioners about global learning in the classroom. 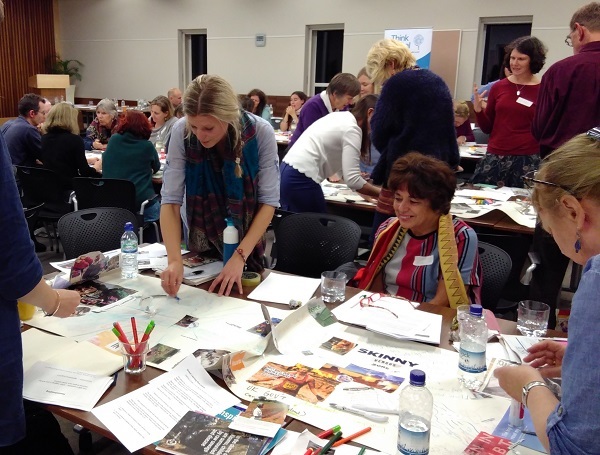 ThoughtBox Director Rachel Musson attended a range of engaging workshops, including one run by Kate Lea from Oxfam Education entitled ‘Exploring controversial and difficult issues in schools’ - a key focus of many of the ThoughtBox curriculum topics. The chance to share ideas and best practice with a wide range of educators from across the profession on this issue was inspiring and incredibly useful for sharing with our ThoughtBox schools. Other workshops included ‘Using contemporary art from the Global South in Global Learning’, ‘What is the function of "whiteness" in Global Citizenship education and training?’ and Global Learning advocacy in action’ in which we got to hear about recent meetings between Think Global and the shadow Education Secretary, as well as upcoming meetings in parliament with the Shadow Minister for International Development and Amanda Spielman, Head of Ofsted. ThoughtBox is delighted to now be a member of the Think Global network of Sustainable Education providers and look forward to continued collaboration, connection and inspiration from fellow practitioners across the UK and wider world. SW Teaching Alliance: Is Your Classroom Healthy?